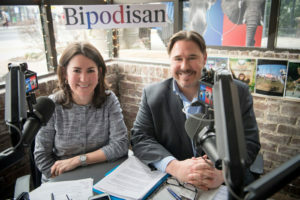 Because reaching across the aisle isn’t working in Washington, former White House speechwriters Mary Kate Cary (R, George H. W. Bush) and Stephen Krupin (D, Barack Obama) reached across the dial to create the podcast Bipodisan. Mary Kate and Steve respectfully bring the left and the right together to discuss the issues dividing America – politics, culture, global events, sports, and everything else in the news. Available on iTunes, Google Play and Stitcher, Bipodisan is a rare opportunity to hear from those who spent time in the Oval Office with Presidents and their closest advisors. The podcast features provocative guests, including other Presidential Speechwriters, who are engaged at the highest levels after leaving the White House and live at the intersection of policy, politics, communications, message, and strategy. 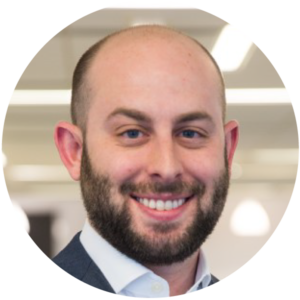 As the director of the Executive Communications practice at the public affairs and political consulting firm SKDKnickerbocker, Stephen partners with CEOs, elected officials, and nonprofit advocates to help them achieve their strategic objectives from behind the podium and in front of the camera. He has prepared speakers to inspire audiences on the campaign trail and the TED Talk stage, promote innovative ideas at the World Economic Forum and South by Southwest, deliver effective messages on “60 Minutes” and the New York Times op-ed page – and even get a few laughs at the White House Correspondents’ Dinner. Mary Kate Cary served as a speechwriter for President George H.W. Bush from 1989 to early 1992 and is currently a Senior Fellow for Presidential Studies at the University of Virginia’s Miller Center for Public Policy. 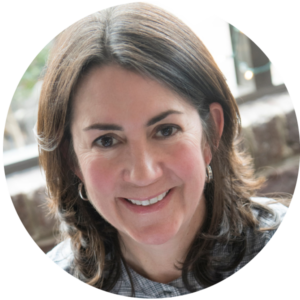 Mary Kate is the executive producer of “41ON41,” a documentary film in which 41 of President Bush 41’s friends tell their best stories about his humility, strength and bipartisanship. The film debuted on CNN and is available on Netflix, Amazon and iTunes. She is a board member of the Points of Light Foundation and the advisory board of the George and Barbara Bush Foundation. Mary Kate was a columnist at U.S. News & World Report from 2009 to 2017, and her columns have appeared in The Washington Post, USA Today and RealClearPolitics.com. She appears regularly on National Public Radio. Previous positions include serving as Deputy Director of Communications at the Republican National Committee, Deputy Director of Policy and Communications for U.S. Attorney General William Barr, Senior Writer on the Bush-Quayle ’88 presidential campaign, Managing Editor of The Hotline political news service, and a staffer at ABC News. M.K. holds a B.A. in International Relations from the University of Virginia, where she is a huge basketball fan.